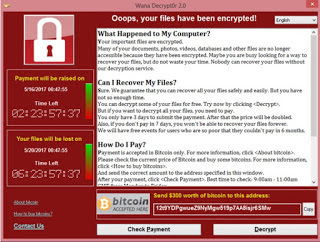 Ransomware Wanna Cry is a malware virus that ends the world, the virus is spread through internet connection, and the affected dampkanya are the users of Windows OS. This virus will lock all the files on the victim's computer and if the file wished again the victim must pay for $ 400 to $ 600. This virus has spread almost all over the World, even those affected not only personal computers but also public computers such as hospitals, airports, and even government computers, so this time ALFA ARTS will provide a little tips to prevent the entry of this Wanna Cry virus To your PC, and if it is already ALFA ARTS will also provide how to free the PC from this Wanna Cry virus attack. Wanna Cry Prevent Entry Virus Want to Cry . First we discuss the prevention of this virus, because it prevents better than cure, well here is a simple ay that is expected to prevent the entry of this virus in your PC, please follow the steps carefully. 1.Update your Windows buddy by using Windows Updater. 2.Block ports 139, 445 and 3389 (TCP and UDP). Open Control Panel, choose System and Security, choose Windows Firewall. Select Advanced Settings, select Inbound Rules (on the left side). Look on the right side of Inbound Rules and select a new rule. Select Port. Select TCP continue to enter port 139, 445, 3389> Next> Block> Check the three options> Continue to give name eg "139, 445, 3389, WannaCry TCP". Select New Rule> Next> Port. Select UDP Enter port 139, 445, 3389 again> Next> Block> Check the three options> Continue give name eg "139, 445, 3389, WannaCry TCP". 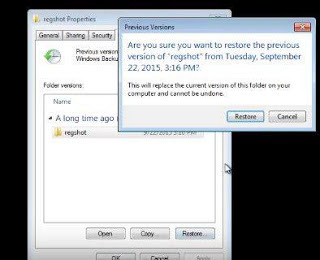 3.Turn off the existing SMB V1 features in Windows. Well if your PC is already exposed to this virus then there should be some stage that needs to be done, I myself have not tried it, but according to the info circulating this is how to cope. 1.Sign in to Safe Mode. 2.Click Safe Boot and select minimal. 3.Select OK and Restart your PC. 4.restart into the Control Panel program select Folder Option select Show Hidden Files and click Apply. 5.Go to msconfig select Startup and Disable some programs that according to my friend suspicious, or my friend feel not familiar with the program. 6.Check the folder to find some suspicious files in: "% TEMP%" "% APPDATA%" "% ProgramData%" If you have found a folder or file named Manna Cry please remove. 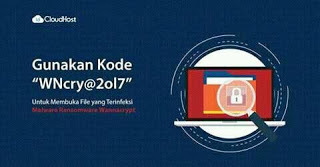 7.Check the host file directory, because it could be corrupted with the virus, the location of the host is " C: \ windows \ System32 \ drivers \ etc " Open with notepad and if any suspicious site please just delete it. 11.Now you can see the old version of the encrypted file. 12.Delete files associated with the virus.